Glen-L Marine carries kits for your Glen-L sailboat. We have custom sails, rigging and hardware specifically for the Glen-L design you're building. 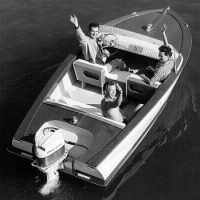 The kits are listed in our online catalog under the name of the boat you are building. Here's a link to the alphabetical index of our designs. We also have various sail hardware to replace your existing hardware such as gudgeons and pintles, blocks, chainplates and covers, bow fittings and much more. See our online store. We appreciate your business so we can continue to provide this Forum for you as well as all of the other resources on our websites.